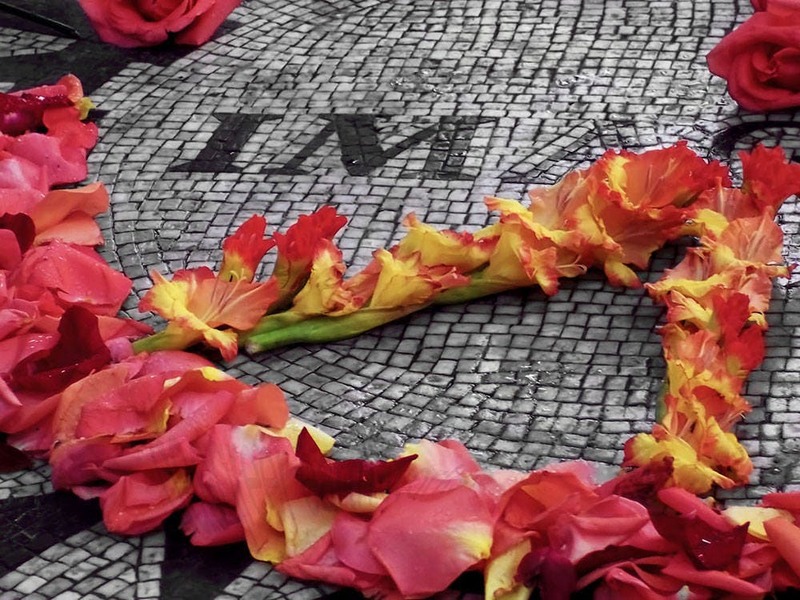 A piece of the Imagine mosaic at the Strawberry Fields memorial, in New York's Central Park. Designed by Bruce Kelly, the memorial is located on Central Park West, just across the street from the Dakota apartment building, where John Lennon lived and was murdered. The entire memorial area is designated a quiet zone, and inspires contemplations of John Lennon's life and work. Visitors to the mosaic frequently leave flowers, candles, and other objects in tribute. Photograph was taken in New York City, New York, USA.